Most of us remember 2017 as the year Donald Trump took office, the world descended into chaos and the notorious Fyre festival crashed and burned on an island in the Bahamas. Luckily, media giants Hulu and Netflix just released rival Fyre Fest documentaries to help us understand one aspect of that year. 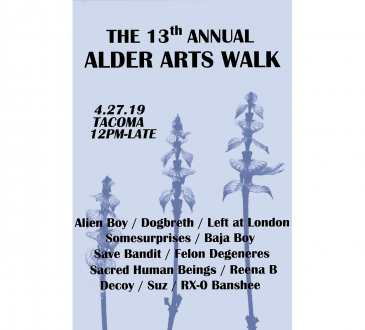 While many enjoyed watching the wannabe Coachella and its glamorous influencer attendees descend into a chapter of the “Lord of the Flies,” the real story of what led up to the disastrous festival is equal parts stupidity and deceit. For those who have chosen to block out 2017, the Fyre Festival drama went something like this: the entrepreneur Billy McFarland, rapper Ja Rule, and the makers of Fyre Festival advertised it as a luxury music festival on a private island in the Bahamas. Influencer heavyweights like Kendall Jenner and Emily Ratajkowski promoted the event on Instagram and in montage ads. Wealthy festivalgoers trusted the ad campaigns and paid thousands and even hundreds of thousands of dollars for tickets. However, once the actual festival happened, attendees were met with FEMA tents, lost luggage, porta-potties and utter chaos rather than promised luxury accommodations. The incident went viral pretty quickly thanks to a Twitter photo of a not-so luxurious cheese sandwich. “I remember when it first came out because I follow Kendall Jenner and Emily Ratajkowski and Bella Hadid. I mean I remember following them and thinking, ‘Wow, what an extravagant thing.’ I think they created such great hype and I remember being like, ‘Oh, I wish I could go there,’ and then I saw the cheese sandwich … ” Zoe Gilbert ‘19, a Puget Sound student who has followed the drama and watched both documentaries, said. Hulu dramatically released “Fyre Fraud” on Jan. 14, right before Netflix dropped their long-awaited “Fyre” on Jan. 18. The rival documentaries both aimed to reveal what happened, why and who was responsible for the failed festival. 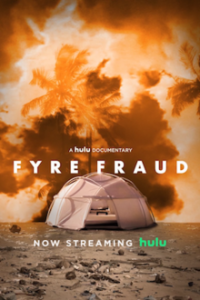 Hulu’s “Fyre Fraud,” directed by Jenner Furst and Julia Willoughby Nason, paints the concertgoers as lonely millennials whose obsession with status and materialism made them vulnerable to Fyre Media’s scam. “Fyre Fraud” goes in-depth about the early life and exploits of Fyre Media’s CEO, Billy McFarland. They paint him as a fraudster who deliberately conned attendees, investors and Bahamians out of thousands to millions of dollars. The tone of the film is playful and full of pop culture references. 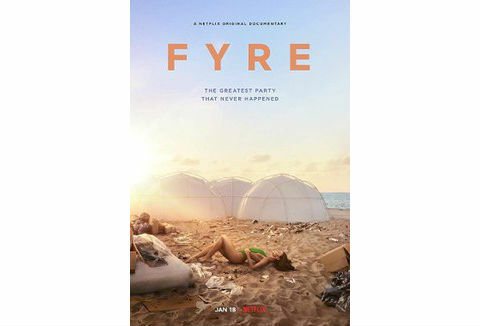 Netflix’s “Fyre,” directed by Chris Smith, spends more time looking into the planning and aftermath of the events with insider footage and numerous interviews with attendees, employees of Fyre Media and Bahamians. The less-playful tone elevates the Fyre Festival disaster from a funny inconvenience for the very wealthy to a criminal enterprise with real victims, namely the Bahamians, many of whom have not been paid for their labor. The one thing Hulu’s “Fyre Fraud” has that Netflix’s “Fyre” does not is an interview with McFarland. Hulu supposedly paid somewhere around $250,000 for this interview, which has spiked a conversation about the ethics of the documentary. 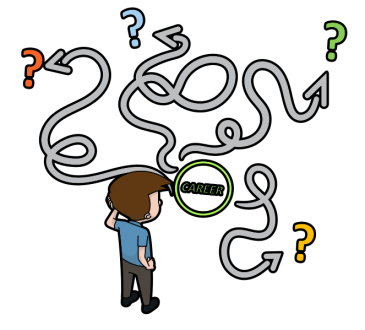 However, the interviewer does ask seemingly tough questions that at one point flustered McFarland so much that he had to leave the room. “That man is a swindler! … I do think that’s unethical, I think it’s unfair because it seems like he made off with a lot of money as is and now he’s just going to be profiting from being an infamous character,” Gilbert said of the $250,000 payment. While “Fyre” offers a superior script and footage, it directs little culpability to the Fyre media team, blaming it almost exclusively on Ja Rule and Billy McFarland. To make matters worse, the Netflix documentary was co-produced by Jerry Media, who happened to be a part of Fyre Festival’s marketing and social media team. “When I think about that it was produced by Jerry Media, it makes a lot of sense, knowing that the film was so heavily focused on their perspective and now knowing that, in retrospect, it does feel like a bit of a PR stunt,” Gilbert said. You should watch both documentaries because they are captivating in different ways, but keep in mind that they are both ethically compromised one way or another.